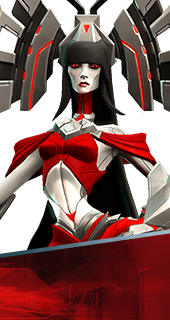 Ambra is a Hero in Battleborn. She is unlocked at Command Rank 14 or by winning 5 matches with a hero from The Jennerit Imperium. Ambra's Staff of Radiance drains health from a targeted enemy, returning 30% of the damage dealt to herself. Channel a fiery wind that damage enemies in front of you. Solar Wind lasts up to 3 seconds, doing 84 damage per second. Calls down a meteor at a targeted location, dealing 450 damage and leaving a scorching area of effect, dealing 300 damage over 5 seconds. Solar Wind catches enemies on Fire, doing damage over time. 42 Damage Per Second for 3 Seconds. Ambra's Staff of Radiance can be used to transfer health to a targeted ally at the cost of her own life force. Health cost is +30% of healing done. Increases the amount of life stolen from enemies through Ambra's Staff of Radiance. +20% Life Steal. 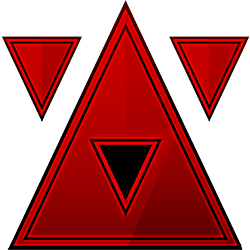 The extra damage that Ambra's Scorching Strikes does through the expenditure of Heat is gained as Health..
Increases Solar Wind’s damage. +15% Damage.